Aroy Dee Thai Kitchen probably isn't the absolute best Thai food you can get in Singapore, but it does the trick perfectly for me. I've been there twice in a week, somewhat manipulating my friends to go there just because I was eager to return for the taste again. 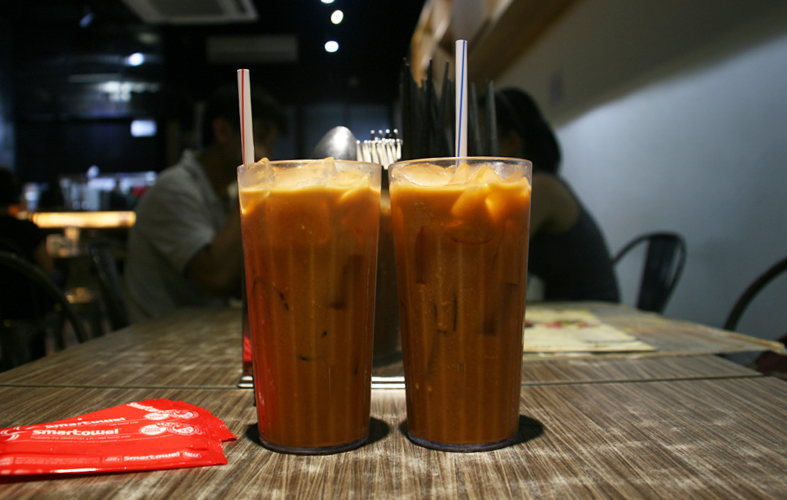 At least, their Thai Iced Milk Tea is a must-order from me, thick and luscious, a bit of an overkill on the first few sips so that it doesn't get watered down when the ice melts. The truly divine milk tea comes from Aloy Thai though. 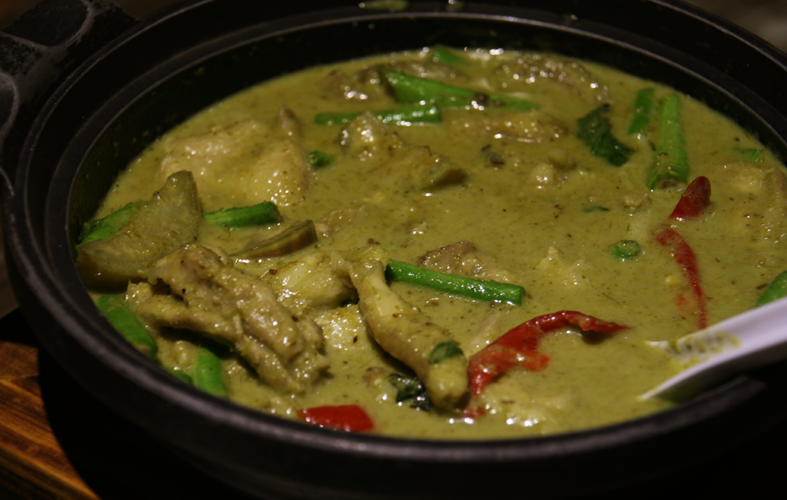 Aroy Dee's Green Curry Chicken was quite spicy, but very shiok with strong flavours of the curry seeped deep into the chicken. The curry itself is quite light and goes very well with the rice. The spiciness and saltiness, however, meant spamming more rice to go with it. In fact, you could very well order this and simply eat this with rice. 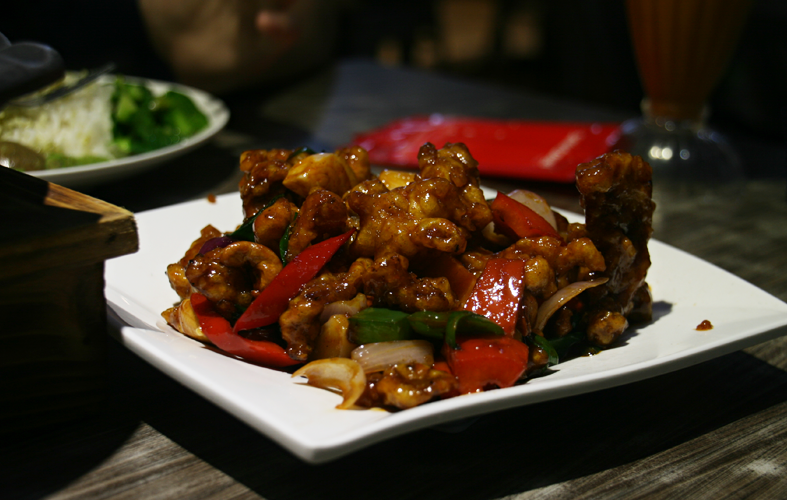 The Cashew Chicken is another regulars' favourite, with the sweet and sour sauce coating every part of the tender chicken evenly, and real cashew nuts sprinkled around the dish. There is a hint of spiciness in this as well but that makes it even better! 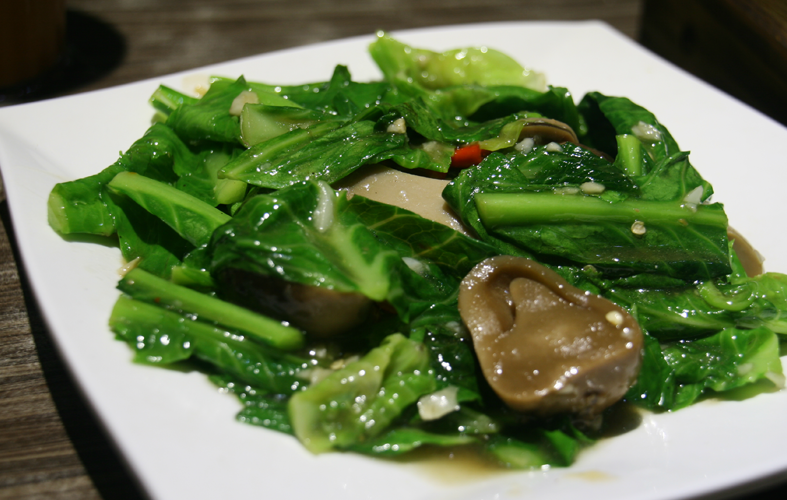 The Stir-Fried Kailan with Straw Mushrooms turned out to be a good decision as it allowed our palates to take a break between the intense flavours of these dishes. 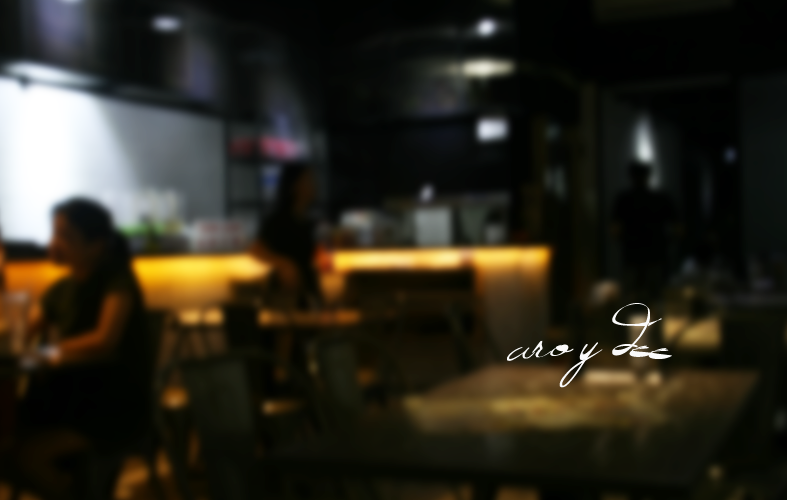 Aroy Dee is very comfortable for long conversations, their service staff are always friendly, efficient and prompt with orders, and there's always Just for Laughs: Gags playing on TV to ensure that the little ones don't ever get bored.